Based on 1204 customer ratings. There’s no need to travel to Chicago to get the best pizza delivery around. Visit Giordano’s where our dining room has everything you need to enjoy a delicious meal. We also have pickup and delivery! The flakiest double crust. The freshest, fluffiest mozzarella. The most flavorful and ripe toppings, built with love into every slow-baked pizza pie. These are the reasons why Giordano’s is the best deep dish pizza place in Chicago. 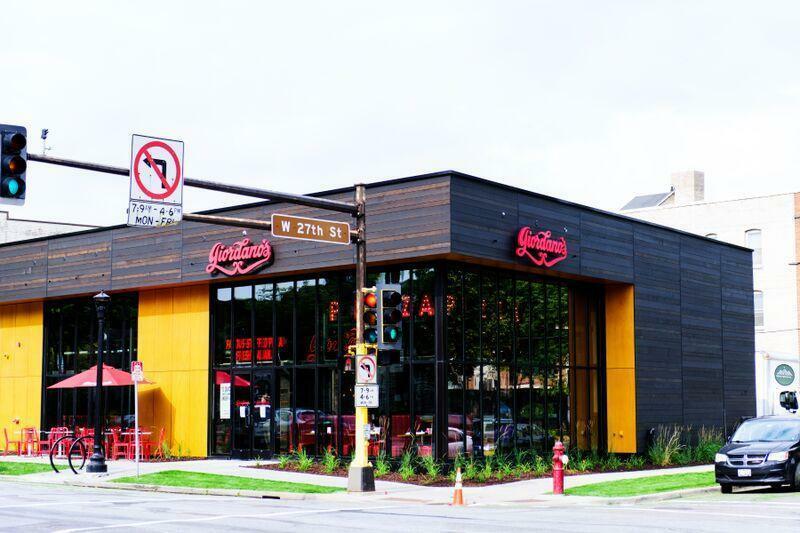 Now you can bring the flavor and heritage of Chicago’s best pizza place home to Minneapolis, where our uptown pizza artisans carefully construct savory pies that will make your mouth water. Every Pie Is Handcrafted With Love Pizza is more than cheese, crust and sauce. At Giordano’s, stuffed pizza is an experience Chicago residents have cherished for over 40 years. Giordano’s is the perfect place to go after an afternoon at the Sculpture Garden, the Children’s Theatre Company or the Mill City Museum! With layers of delicious flavors and tender, flaky crusts, working up an appetite for Giordano’s is easy. Not in the mood for pizza? You can also check out our full menu, which features mouthwatering appetizers, savory pastas, fresh salads and hearty Italian sandwiches. Need gluten-free choices? We have them, too!